If you ask almost anyone what their favorite food is, chances are they’ll tell you it’s pizza. It seems to be that Americans, and the rest of the world, loves pizza and this is reflected in the fact that in the USA, pizza sales top $30 billion every year. 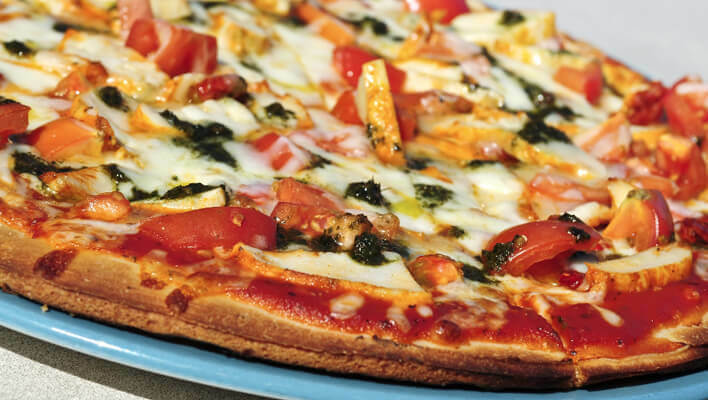 Why not host a pizza fundraiser for your group or organization? You’re bound to have a few interested customers – and make a lot of money for your group. Pizza fundraisers are popular with a lot of organizations, particularly school fundraising. Your group will need to get in contact with a pizza fundraising company or with a local pizza parlor to host a fundraising night. You can also sell discount cards for local pizza places, if you need an easy way to make money fast. With three ways to do this fundraiser, you can’t go wrong! If you choose to get into contact with a pizza fundraising company, you will be selling frozen pizzas or pizza kits to your customers. Pizza kits are do-it-yourself pizzas; frozen pizzas can be popped in the oven for a quick meal. Your participants will be given brochures and order forms and sent out around the community to collect orders. If you choose to do it this way, you should pick a company that has a lot of choices for frozen pizza or pizza kit. Most will have the popular varieties of pepperoni and cheese or Hawaiian, but your fundraiser will have more appeal if there are more kinds of pizza for customers to pick from. Some companies allow their pizza kits to be customized, which may really attract customers, so check into this before selling. Set a sales period of a few weeks to collect orders and money, then place a big order with the pizza company. The order will be delivered on a refrigerated truck and then you will be responsible for sorting and delivering the order immediately, unless you have the facilities in which to store it. The best thing about this way of pizza fundraising is that you get to keep the profit immediately. If you choose to host a fundraiser at a local pizza place, a portion of all the orders that are placed on that designated fundraising night will go to your group. The pizza parlor will advertise that the night that you choose is to benefit your organization. This is an easier, less work-intensive way of going about fundraising. The profit, however, is lower than if you work with a pizza fundraising company. Despite this, you can host this fundraiser monthly, if you want, which will earn your group money on a regular basis. The third way to host a pizza fundraiser is to stage a discount card fundraiser. This works by contacting a discount card fundraising company and local pizza restaurants to offer a discount on their food. This information will be printed on a discount card fundraiser. You will then sell it to customers and raise money for your group, and the customers will go to the pizza place and get discounts when they buy pizza (and feel good that they supported you!). Discount cards have a great profit potential, and are inexpensive fundraisers to put on. Before you decide on a fundraiser, you should ask the companies that you’re considering some questions. Is shipping free or do you need a minimum order to get free shipping? How much do brochures cost? Is there a vegetarian pizza option? How many pizzas are offered? Make sure to do your research so that your fundraiser goes well and with as little stress as possible. Depending on the fundraiser you choose, your profit margin can be anywhere from 10% to 90%. Discount card fundraisers seem to be the best way to make a lot of profit at once, but a pizza parlor fundraiser can be put on once a month, earning your group a little money on a regular basis. The fundraiser with the pizza company can earn you anywhere from 30% to 60% profit, but is a lot more work. However, you can host that one several times a year, as well, which is good for your group’s budget. Hosting a pizza fundraiser can be a lot of fun, especially when you’re working with younger kids and lots of volunteers. Depending on the fundraiser that you choose, there are pros and cons to each. When you work with a pizza company, you have to have a lot of volunteers on hand to help sort and deliver the orders quickly to your customers. As well, shipping can cost a lot. Discount card fundraisers are easy to put on, but won’t have a lot of appeal outside of your local area. Whatever pizza fundraiser you choose, you’re bound to have fun doing it and earn lots for your organization, too.